Funny Sign. 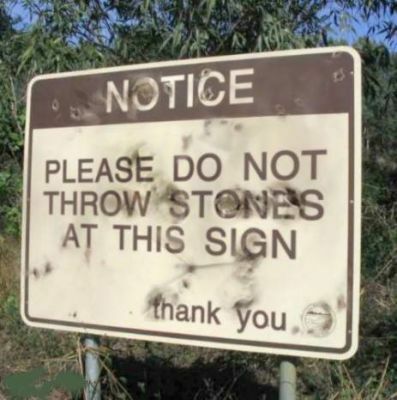 Don't te just want to throw a rock at that sign. :D. Wallpaper and background images in the Picks club tagged: funny signs. lol . looks like they threw bullets instead!